How can I make my house look more modern? Our house seriously needs to be bought into this Century! 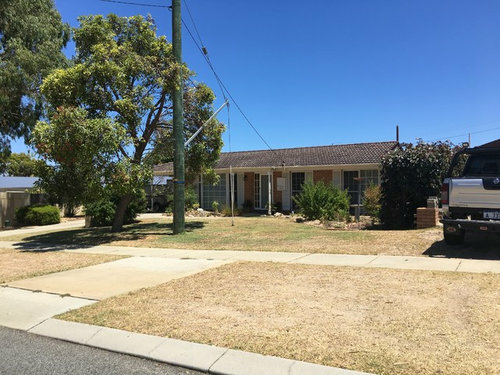 I would like to upgrade the facade - cladding or rendering? In a bold colour with white shutters? I want to change the front door and amber glass and redo the garden. Are there any products that can go "over" old driveways? Your comments would be greatly appreciated. I agree with what the others have said, also it depends on budget and how far you want to go...when you say modern, what sort of look does that mean to you? 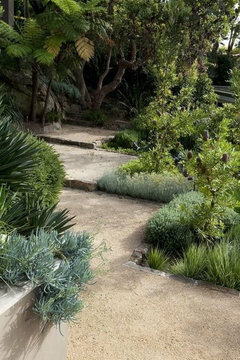 Some possible garden inspo if you forgo lawn. Depends on the type of look your going for. Contemporary, country, mid century. Maybe make the front entrance more substantial. 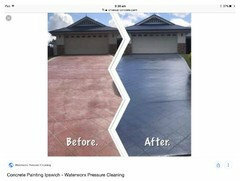 There are great products on the market to paint driveway. This is a job that could be done by yourself, if handy. Otherwise there are professionals that can do it for you. 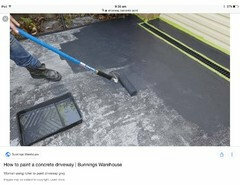 This website may help http://www.berger.com.au/how-to-and-diy/how-to-paint-your-driveway-or-garage-floor/. Dreamer is right, we need to know what style Taff Taff is hoping for. 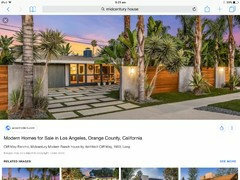 For example, some of the existing features could translate well to a Hamptons look. 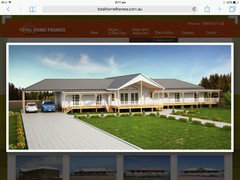 I would remove the shutters and porch posts. Replace posts with some brick piers say 230 x 470. Paint the brickwork, new piers a different colour. 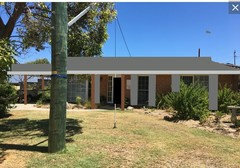 If budget allows add a gable end to porch. Note that the electrical connection may require relocation. Still some money left, look at windows, maybe remove the mullions as some of these are stuck in place or potentially new windows without so many mullions. Driveway can be painted, etc. Landscape, landscape. Try and disguise the strut and cables securing the telegraph pole. 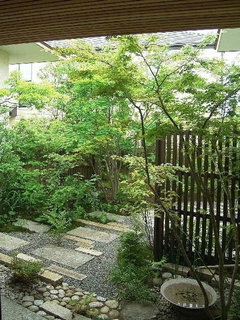 Landscaping is the most important part, employ the services of a designer. 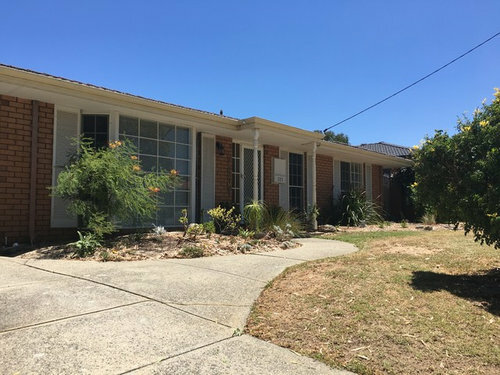 for a cheap fix paint bricks dark grey, repaint shutter effects white again, large shiny aluminium pots with bright flowering large shrubs either side of new white or chartreuse green front door. 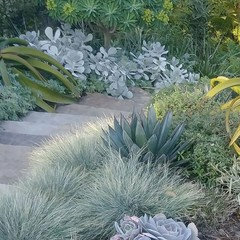 or succulents which grow fast from cuttings (pinch little bits on morningcwalks) and need just a little water to start off. PS. 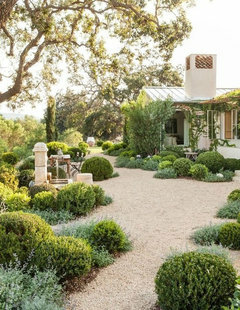 love the idea of making entry porch more prominent too. You then could keep the shutters and paint them the same colour. Remove the sectional window strips. Thank you all for your comments, photos and links. Thank you all for your comments, photos and links. 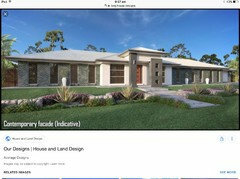 This style of house is what I like but I only have a small budget -$5000.00. 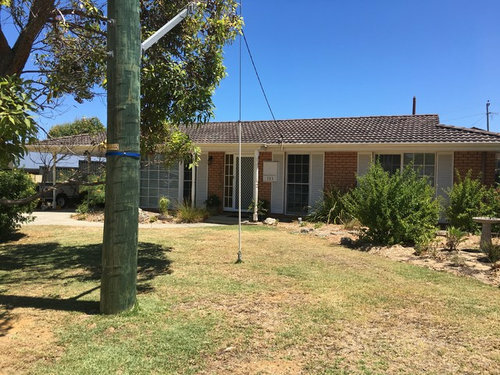 I have researched roof painting and read several forums where people have painted their own roofs with good results as long as they were meticulous with the preparation. I will remove the shutters and definitely engage the services of a garden designer. I live in Perth and we haven't seen rain for awhile. Seems sensible to get rid of the lawn. 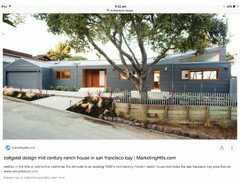 And I will further research painting or re surfacing the driveway and change in the future. But, where do I start? What should I do first to implement change? Thank you for any further comments. How can I make my entrance more inviting? How should I make my driveway entrance more appealing? !